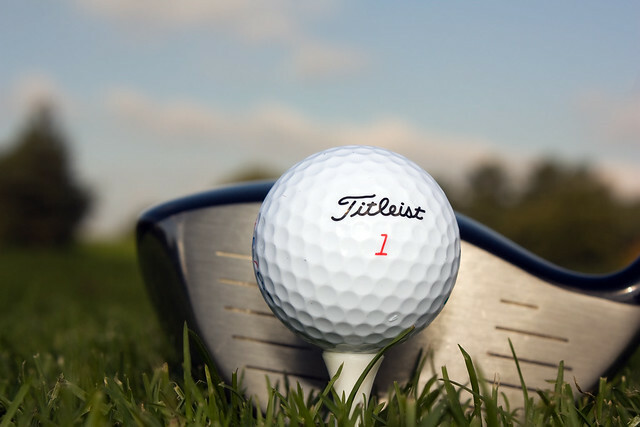 The many benefits of playing golf are why it’s a favorite pastime for many people. Golfing is not only fun and good for your health, but it is one of the best ways to bond with your family and friends, as well as conduct business. However, it is quite expensive. With club membership fees, equipment and other expenses, you are likely to go over your budget. The good news is that there are ways to play golf without boring a hole in your pocket. Use these tips to enjoy a game on the green and not worry about the cost. 1. Consider buying second-hand golf clubs. Used equipment costs much less than new. A friend could sell you his old clubs. In used stores, there might be an old, but still serviceable, set. If you’re sure to buy a good one, an older set of clubs will in no way affect your skills on the green. 2. Have patience. If you have the patience, you can wait until new supplies arrive at the store and old stock is sold at bargain prices. The previous year’s model is cheaper than new models. 3. Use selling techniques. When you buy items in bulk or during sales, you can get discounts. A golfer may buy clubs once or twice in a lifetime, but he needs a steady supply of balls, gloves, tees and more. Save money by buying in larger quantities or wait until a store has a sale. Imagine how much money you’ll save! 4. Save on green, member and other fees. Golf venues charge higher rates in the morning and on weekends. Most clubs offer lower rates after sunset when the greens are almost empty. Weekends are crowded with all the regular players. Save money by playing late or on weekdays. 5. Exercise and save. No need to pay a cart fee if you just walk the course. Give yourself the opportunity to play and exercise at the same time. You can escape the heat if you play after sunset. 6. Utilize pull carts. Use a pull cart, not an electric cart, for rent in private courses. You can also buy an inexpensive pull cart. You can opt for a new one or a used one, which will be much cheaper. 7. Get affordable attire. There’s no need to buy a new wardrobe: You can wear any of your collared polo shirts and khaki or denim shorts. Be sure to buy a pair of golf shoes; a tennis pair will also do. 8. Recycle “broken” wooden tees. Some golfers use large wooden tees that snapped after a shot. They also use different sizes and kind of tees. Recycling wooden tees can mean saving. 9. Wait for membership drives. There are certain times of the year that private clubs initiate membership drives and offer lower dues. 10. Save on snacks. You’ll definitely need food on the greens to replenish your energy. Food served in the clubhouse is costly. You can economize by preparing snacks at home and eating between holes. Golf is a worthy game for all, and since our constitution says that all men are created equal, you have every right to play. Say goodbye to high costs because there are ways to play without emptying your wallet. Use these tips to cut down your expenses.